1) How to Conduct Software Testing? > Software Testing can be done in two ways one is Manual Testing another is Test Automation or Automated Testing. > Testing Computer software manually in order to find defects without using Test Tool or Automation Scripts is called Manual Testing. > Testing Computer Software by using Test Tool or Automation Script is called as Automated Testing or Test Automation. 2) What are SDLC Models? We have so many SDLC models available in the IT industry, we can segregate them in to two categories. 3) What are Software Test Levels? i) Unit Testing Testing of individual software components. 4) What are Software Test Types? 5) What are Software Test Design Techniques? 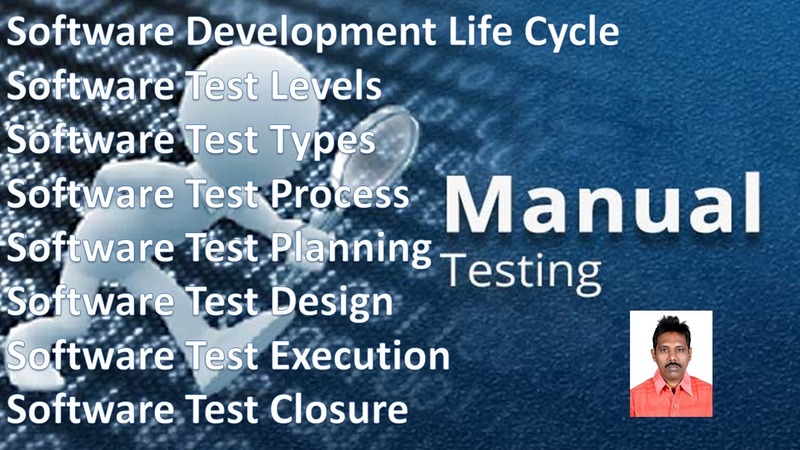 6) What is Software Test Process or Software Test Life Cycle? Four Important Phases of Software Test process / Software Test Life Cycle. 7) What are Software Quality Standards? 8) What are Software Test Documents? 9) Explain about the Domain Knowledge for Software Testers? 10) Explain about the Programming Knowledge for Software Testers. Functions / Methods, Exception Handling, OOPS- Inheritance, Polymorphism, Abstraction, and Encapsulation.